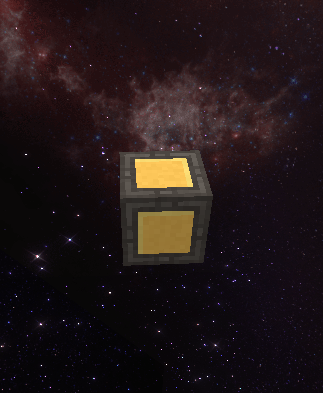 There are 3 kinds of thrusters - glowstone, plasma, and ion. Built literally with just a glowstone block. Worst thruster ovrerall, but use less power and space. Best for super small/cheap ships. 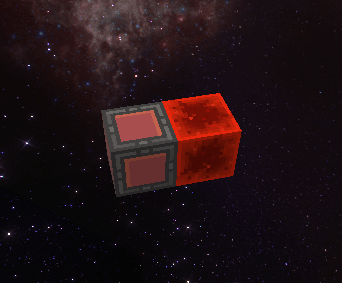 Built with a redstone block and a redstone lamp behind it. The lamp should face away from your ship. Very fast acceleration and almost as fast speed. Built with a sponge block and a sea lantern behind it. The lantern should face away from your ship. High power demand, very low acceleration. 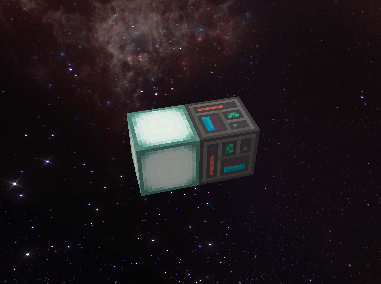 You cannot have any blocks behind thrusters or they don't work. Having walls of thrusters uses too much of your ship's power.